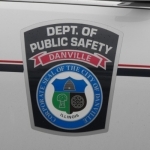 It is tax time, and Danville Police are warning about phone calls that some people have been receiving in our area. Public Safety Director Larry Thomason says the caller claims to be from the Internal Revenue Service…. Some area residents have received calls from people who claim to be with the Internal Revenue Service. And the caller warns the person answering the phone that they will be arrested if they do not give out personal information…. Director Thomason was commenting during an interview with VermilionCountyFirst.com News.